A study published in the Nutrition Journal revealed that competitive male cyclists using a probiotic supplement had a 50 percent decrease in symptoms of upper respiratory tract infection. We all know regular exercise is good for us, but athletes fall within a different category — strenuous exercise may inflame the body. For athletes, a daily probiotic, like Alpha State Re (Generation) can be a prime supporter of immune health. Extreme exercise can result in blood poisoning by causing bacteria to leak into the bloodstream. The randomized control trial, conducted in 2011, took a sample of 99 people, 64 of which were male and 35 were female. They were all an average age of 35 years old and all competitive cyclists. For 11 weeks, participants were randomly assigned to receive either a placebo or a probiotic supplement. While researchers in the original Nutrition Journal study concluded that more studies were needed to determine why there was a difference between genders, they did look at pro-inflammatory and anti-inflammatory cytokines as possibly being responsible for the variation. Cytokines are small protein molecules that modulate the immune system. They are secreted by the glial cells of the nervous system and by immune cells. Cytokines are like messengers between cells that open up the lines of communication throughout the entire body. The gut, which comprises the enteric nervous system, has both glial cells and neurons, which are commonly thought to correspond to only the central nervous system. This is why a severe and chronic inflammatory response in the gut often is linked to a permeable blood-brain barrier. Brain fog, especially after eating an allergenic food, is one of the most common associations between the gut and the brain. An excited immune system with the release of pro-inflammatory cytokines that originate in the gut means the entire body goes on red-alert. This is especially true of those tissues that are rich in glial and immune cells. Cytokines are similar to hormones. Sometimes, the effect of cytokine communication is systemic, rather than simply local and restricted to one area of the body. Some cytokines will actually trigger the release of other cytokines; for this reason, they are of particular interest in understanding autoimmune conditions and systemic inflammation. These biomarkers are associated with age-related diseases, such as diabetes and atherosclerosis. CRP has been strongly implicated in the development of atherosclerosis, as it shows up in coronary artery smooth muscle cells. Also, IL-6 and TNF-alpha have been found to activate CRP. Several studies have found that while moderate exercise benefits the immune system, repeated strenuous exercise has been found to actually impair the cellular immune system and increase inflammation. This is because the body sees intense exercise as a physical stressor, impinging on immune cell function. The answer can be found somewhere between the two. The best way to approach exercise, as an athlete or everyday exerciser, is by giving your body the fuel it needs to move and compete. For daily probiotic protection needed for strenuous exercise our products can help relieve gut disorders — including gas, diarrhea, constipation, bloating, and stomach pain — while equipping the immune system to fight off infection. As an athlete or exerciser, should you take a daily probiotic? The research is extensive. Athletes and high-intensity exercisers, who may be at risk for a wide range of exercise-induced gut disorders, could benefit from a daily probiotic that can ward off infection by strengthening the immune system. Embracing a regular exercise routine can also have a beneficial effect on the gut — altering gut bacteria for the better and even improving metabolism and brain health from a young age. The use of probiotics has been found to reduce the magnitude of difference between cytokine changes before and after exercise. Friendly microflora are therefore a beneficial addition to competitive sport athletics. Probiotic supplementation in the form of fermented foods and beverages supports immune cell activity and therefore the immune system as a whole. To finish any workout strong, while keeping the gut healthy, you need the right fuel in your belly. Mixing up Body Ecology’s vegan Fermented Protein Shake before a tough workout can help to maintain energy levels and support weight loss. With each workout or competition, it helps to remember the Body Ecology Principles of Uniqueness and Step-by-Step. Every person is unique and may respond to an intense workout differently, so listen to your body and take it one step at a time. Probiotics may reduce cold/flu symptoms for male athletes: Study. Daniells, Stephen. 15-Apr-2011. Nutrition Journal 2011, 10:30 (11 April 2011) "Lactobacillus fermentum (PCC(R)) supplementation and gastrointestinal and respiratory-tract illness symptoms: a randomised control trial in athletes" Authors: N.P. West, D.B. Pyne, A.W. Cripps, W.G. Hopkins, D.C. Eskesen, A. Jairath, C.T. Christophersen, M.A. Conlon, et al. Eur J Sport Sci. 2015;15(1):63-72. doi: 10.1080/17461391.2014.971879. Epub 2014 Oct 23. Agnieszka Mika, Monika Fleshner. Early life exercise may promote lasting brain and metabolic health through gut bacterial metabolites. Immunology and Cell Biology, 2015; DOI: 10.1038/icb.2015.113. S. F. Clarke, E. F. Murphy, O. O'Sullivan, A. J. Lucey, M. Humphreys, A. Hogan, P. Hayes, M. O'Reilly, I. B. Jeffery, R. Wood-Martin, D. M. Kerins, E. Quigley, R. P. Ross, P. W. O'Toole, M. G. Molloy, E. Falvey, F. Shanahan, P. D. Cotter. Exercise and associated dietary extremes impact on gut microbial diversity. Gut, 2014; DOI: 10.1136/gutjnl-2013-306541. Ray Playford et al. The nutriceutical, bovine colostrum, truncates the increase in gut permeability caused by heavy exercise in athletes. American Journal of Physiology-Gastrointestinal and Liver Physiology, March 2011. The intestinal microflora regulates cytokine production positively in spleen-derived macrophages but negatively in bone marrow-derived macrophages. Eur Cytokine Netw. 1999 September; 10(3): 365-372. P Nicaise, A Gleizes, C Sandre, R Kergot, H Lebrec, F Forestier, and C Labarre. University Of Toronto. "Light Physical Training Best For Boosting Immunity." ScienceDaily. "Couch potato or elite athlete? A happy medium keeps colds at bay." Society for General Microbiology. S. Gill, J. Hankey, A. Wright, S. Marczak, K. Hemming, D. Allerton, P. Ansley-Robson, R. Costa. 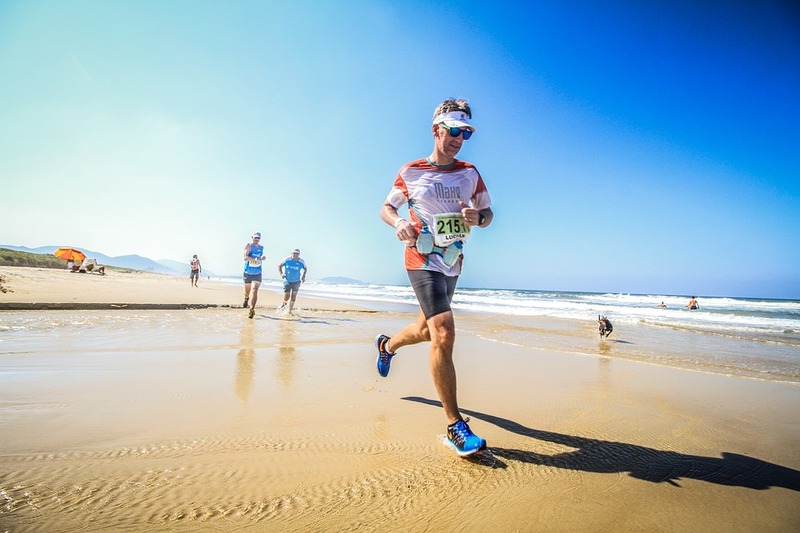 The Impact of a 24-h Ultra-Marathon on Circulatory Endotoxin and Cytokine Profile. International Journal of Sports Medicine, 2015; DOI: 10.1055/s-0034-1398535.